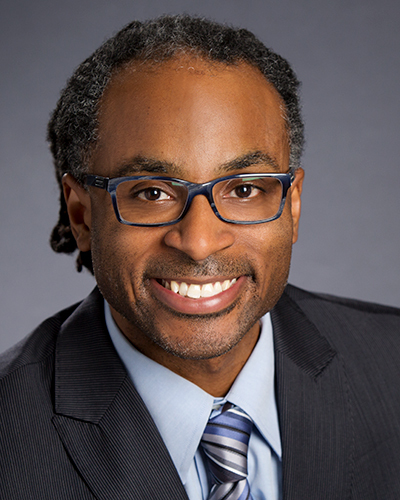 Terrance L. Green is an assistant professor at the University of Texas at Austin in the Department of Educational Leadership and Policy. Green earned a Ph.D. in Educational Leadership & Policy Analysis from the University of Wisconsin-Madison, and a B.S. in Biology Education from Kentucky State University, a Historically Black College & University (HBCU). Prior to earning his doctorate, he was a high school science teacher. Dr. Green's research examines the relationship between educational leadership, schools, and neighborhood-communities, with a focus on racial and educational equity. His work centers on three related research strands: 1) the role of educational leaders in equity-focused school-family-community partnerships, 2) the intersection of school reform and equitable community development, with a focus on the impacts of neighborhood gentrification on schools, and 3) institutional change approaches to racial and educational equity in school districts and schools. His research has been published in several journals including Teaches College Record, Educational Administration Quarterly, Journal of School Leadership, The Urban Review, and Urban Education. In addition, Dr. Green's research has been nationally recognized, and he has received several prestigious awards and grant funding to support his work. In 2018, he was awarded one of thirty National Academy of Education (NAEd) Spencer Postdoctoral Fellowships, and in 2017, Dr. Green received the Early Career Award from the American Educational Research Association's (AERA) Division A (which focuses on Administration, Organization, and Leadership). In 2016, he was recipient of the William J. Davis Award for the most outstanding article published in a volume of Educational Administration Quarterly, which is the top journal in the field of educational leadership and administration. In addition, Dr. Green has written several opinion editorials on key education topics that have been featured in a variety of popular press venues such as: TIME.com, The Houston Chronicle, Dallas Morning News, Austin American Statesman, Texas Tribune, Detroit Free Press, and the McAllen Monitor. Green, T. (2017). "We Felt They Took the Heart Out of the Community": Examining a Community-Based Response to Urban School Closure. Education Policy Analysis Archives, 25(21), 1–30. http://epaa.asu.edu/ojs/article/view/2549. Green, T. (2017). School as community, community as school: Examining principal leadership for urban school reform and community development. Education and Urban Society. Green, T. (2017). Community-based equity audits: A practical approach for school and community leaders in supporting equitable school-community improvements. Educational Administration Quarterly. Green, T. & Gooden, M. (2016). A Wrong Without A Remedy: 41 Years After Milliken v. Bradley I (1974) and Its Progeny in the Fight for Educational Equity. Teachers College Record, 118(3). Gooden, M. & Green, T. (2016). Reflections on litigating Milliken I 40 years later: A conversation with the honorable judge Nathaniel Jones. Teachers College Record, 118(3). Green, T. & Gooden, M. (2016). The shaping of policy: Exploring the context, contradictions, and contours of privilege in Milliken v. Bradley I and its progeny 40 years later. Teachers College Record, 118(3). Green, T. (2016). From positivism to critical theory: School-community relations toward community equity literacy. International Journal of Qualitative Studies in Education. Green, T. (2015). Leading for urban school reform and community development. Educational Administration Quarterly. doi:10.1177/0013161X15577694. Green, T. (2015). Places of inequality, places of possibility: Mapping "opportunity in Geography" across urban school-communities. The Urban Review, 47(4). doi:10.1007/s11256-0515-0331-z. Dantley, M. & Green, T. (2015). Problematizing notions of leadership for social justice: Reclaiming social justice through a radical, prophetic, and historical imagination. Journal of School Leadership, 25(5), 820–837. Green, T. & Gooden, M. (2014). Transforming out-of-school challenges into opportunities: Community schools reform in the urban Midwest. Urban Education, 49(4), 930–954. Green, T. & Dantley, M. (2013). The great white hope? : Examining the white privilege and epistemology of an urban high school principal. Journal of Cases in Educational Leadership, 16(2), 82–92. Green, T. & Brooks, J. (2013). Leadership for social justice: The importance of exploring the past to shape the future of educational administration. Critical Social Justice Issues for Educators for Today (pp. 274–285). Capper, C. & Green, T. (2013). Organizational theories and the development of leadership capacity for integrated, socially just schools. Handbook of Research on Educational Leadership for Diversity and Equity (pp. 62–82). New York: Routledge Publishing. Emily's research focuses on systemic inequality and education reform, the socio-cultural politics of education, and the relationship between cities and schools and communities.